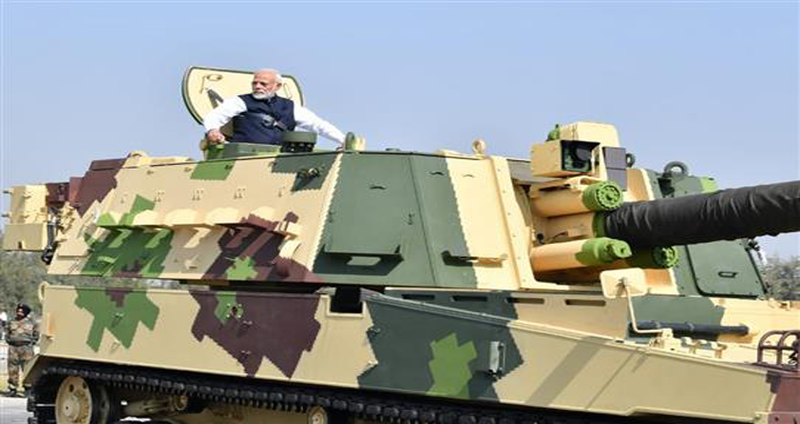 The Prime Minister Shri Narendra Modi on his two-day-visit to Gujarat dedicated L& T Armoured Systems Complex in Hazira to the nation January 19 . He also visited the Complex and showed keen interest in the innovative spirit behind the project. Prime Minister also laid foundation stone of Nirali Cancer Hospital at Navsari. It will benefit people of the region in accessing preventive and curative aspects of cancer treatment. First day of his visit PM the inaugurated the flagship Global Trade Show at the Exhibition centre in the run up to Vibrant Gujarat Summit. PM unveiled the state of art, super-speciality public hospital – Sardar Vallabhbhai Patel Institute of Medical Sciences and Research in Ahmedabad. Addressing on the occasion, he said that in keeping up with its commitment towards equal opportunity for all and for the development – Sabka Saath, Sabka Vikaas is the way forward for New India. Inauguration of Ahmedabad Shopping Festival-2019 at the Sabarmati Riverfront by the PM was yet another attraction. Speaking on the occasion, he said, the Government is constantly working to create a conducive environment for business in the country.